Sydney’s CBD has recorded its first decrease in sublease space in three months, after previously experiencing an upward trend in vacancy rates. CBRE’s latest Sublease Barometer, which tracks both the volume of sublease space and the trends occurring within different industry groups and market sectors in the Sydney CBD, highlights the general upward trend followed by the slight decrease in June. Sublease availability decreased 2,885sqm in June to 72,079sqm. The average total sublease space since the start of 2013 is 73,361, with May 2013 recording the highest sublease volume since November 2009. CBRE Senior Director of Office Services, Jenine Cranston, said the decline is a step in the right direction for vacancy rates. However Ms Cranston also said the drop could be a ‘one off’ and expects sublease space to continue to climb, largely due to the consolidation occurring throughout the financial and insurance sectors. “The vast majority of sublease space available in June was located in tenancies with incumbent occupiers in the finance and insurance sectors,” Ms Cranston said. Larger sublease tenancies are also a continuing trend, with 75% of all options 1,000sqm or above. This is an increase from the 70% recorded last month. Furthermore, the Barometer shows that there are currently nine options available with space greater than 2,000sqm, compared with six available options last month. The proportion of A Grade sublease space decreased substantially, from 51% to 36% in terms of sqm. Premium grade assets decreased to account for 31% of available space and B Grade available space fell to 17%. A majority of the space is partitioned and available for immediate occupation. “This reflects the high proportion of tenancies where lease holders have recently or currently occupied the space with intentions to vacate once a tenant is found,” Ms Cranston said. Ms Cranston said the majority of the sublease space (63%) is situated in the city core. The Western Corridor has significantly less sublease space and holds a tighter vacancy factor overall. 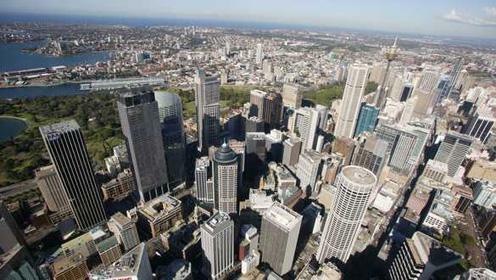 “The effect of Barangaroo is having a positive outcome on rental space in the Western Corridor,” she said. “Occupiers are drawn to the area as there is perceived good value due to the significant growth and improvements the area is seeing.